Kate Chesne is a successful doctor. She loves her life, albeit a little lonely. One day, a routine operation goes awry. Part of the staff that performs surgery on Ellen O’Brien, a close friend and fellow nurse, something goes wrong in the operating room and Ellen dies on the table. Once an investigation is launched, Kate is soon served with papers suing for malpractice when evidence shows that Kate misread the EKG and killed Ellen on the table. Her life as she knows it is crumbling, and she is desperate to get it straightened out. She knows for a fact that there was nothing wrong with Ellen’s EKG, and that she certainly did not have a stroke before surgery. Kate approaches the O’Brien family lawyer, David Ransom, intent on making him hear her out, to hear the truth, that she did not make a mistake, that someone else did. The two are opposites from the very off, though she is immensely attracted to him from the off. David, on the other hand, has made it his life’s mission to sue and crush doctors at every available opportunity, and it seems that Kate is no exception. However, things soon start to happen that make him wonder if there is maybe not more to her story, that maybe there are sides she does not know. Kate receives some strange calls about Ellen’s death, and when searching for answers discovers another corpse, another nurse. The dead nurse seems to have a connection to another murder, and suddenly a murder seems like a theory for the OR, and not necessarily malpractice. David and Kate, however, are tiptoeing and dancing around each other, complete opposites but completely taken with each other. Is Kate right? Is she being framed? Was there a misunderstanding? Did she kill Ellen on the table, even if just by accident? Will David take her through the wringer, crushing her just like any other doctor? What will happen between the two? Will they start thinking a little more straight if they are away from each other for a while? Why? Just why? Right, bear in mind, the cover looked like it could present a decent medical thriller. I even (for the briefest of moments) thought that this could totally have been a book that Natasha would enjoy (you know, romance and the medical side – her cup of tea). But then it just spiralled. I had a sour taste in my mouth over the romance aspect that presented itself insanely early, but I was certain it couldn’t be the worst kind or anything. Oh boy, was I mistaken. I was dragged into one of those ludicrous novels where everything is about the heat of the moment, the desire burning all over their bodies, the lingering gazes, the mind running more rampant than a hormonal teenager and electrifying touches and blah blah blah. I was seriously unimpressed. I finished it (not a fan of starting books and not finishing – seeing as this one was only like 250 pages I figured I could hack through it – plus the internets was down at work and I had nothing else with me CRY CRY CRY). 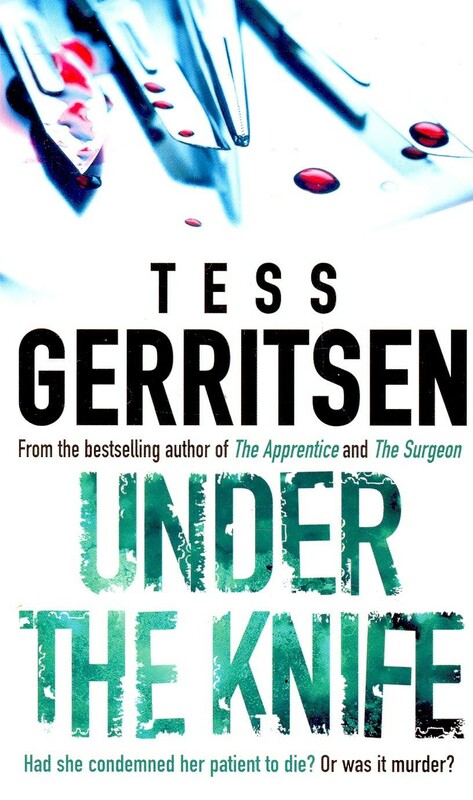 Really, I usually like Tess Gerritsen, but this was just awful. The characters were just wholly unbelievable, the names were so pretentious – I mean Jinx? David Ransom (a lawyer)? Pokie? I was unimpressed to the extreme. Not only that, the dialogue and writing style was just so corny and weak. This could have been a decent read if not for all the flaming desire and doomed relationship and crap that dominated only every damn page. I was not happy with the plot progression either. The story was forgotten, and it had the potential to be alright. Instead it got inundated by page fillers of lust and love. Pffffff. The cover is sort of a love/hate thing for me. 1 – I hated it because I ended up reading a junky book, but 2 – thank goodness, otherwise my colleagues would have had a proper laugh at me! I would not recommend this unless you are seriously, seriously into that type of romance novel.